Click here for the student application brochure. Click here for a one-sheeter explaining the program. Click here if you are a busines or community organization that would like to make a donation and/or get involved. Click here for the Community Rewards Authorization form to fill out with your donation. 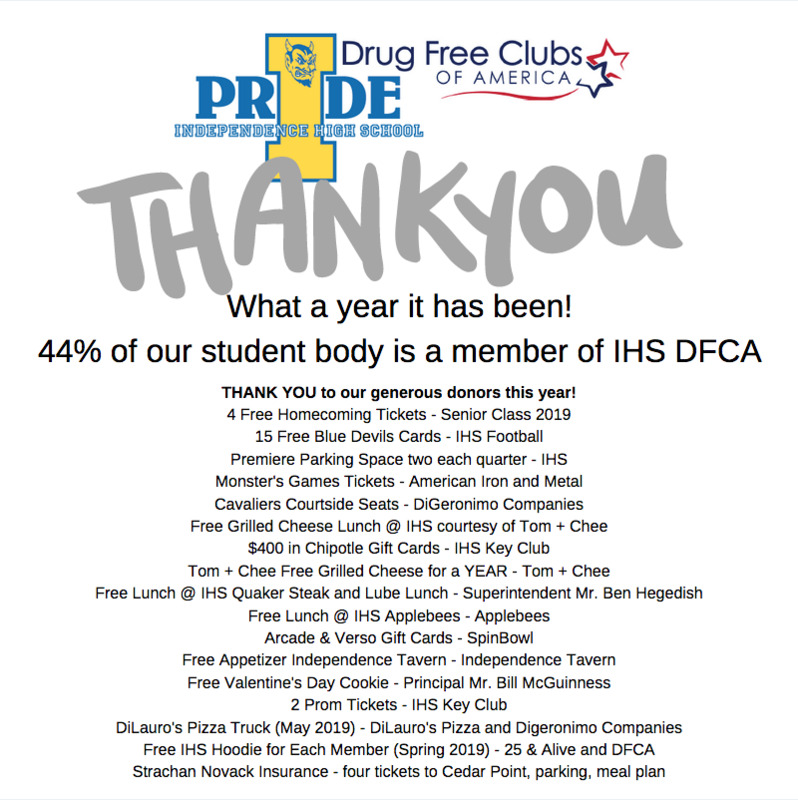 Independence High School (IHS) is excited to announce that we are starting a local IHS chapter of Drug Free Clubs of America (DFCA). The program relies on the community to help us reach out to every type of student. After completing a voluntary, confidential drug test, drug free students receive a photo ID “Club Card,” recognizing them as members. 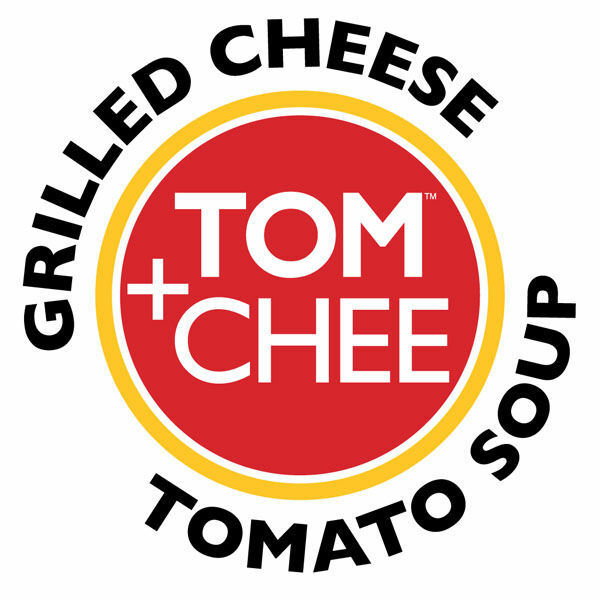 Members use their club cards at school and participating businesses to receive rewards tailor made for Drug Free Clubs of America. Re-testing of random members occurs periodically throughout the school year. Participants keep their privileges and continue getting rewarded as long as they test drug free at any given time. When a member tells a friend “I Can’t,” the friend knows that to be true because the member has been seen getting rewards. Peer pressure is stopped in its tracks, and the member escapes a tough situation drug-free! Communities – Reduced drug use results in decreased crime and a more reliable youth. Businesses prosper by showing patrons that they are community leaders, vested in the next generation. Schools – Drug abuse has been proven to interfere with a student’s ability to learn. Statistically, students who use drugs are more likely to bring violent behavior into the schools, disrupt a healthy learning atmosphere, and/or drop out completely. We provide the means for schools to create a safer learning environment. Parents – Enjoy the priceless peace of mind knowing their child is drug free, and has been given a foolproof tool to stay that way. Students – By becoming a member of Drug Free Clubs of America, students will be eligible for countless rewards. This includes the long-term rewards associated with a drug free adolescence such as a reduced likelihood of adulthood addiction, better realization of goals, and a more promising future.